Bryologist Richard Caners studies a moss specimen in a peatland near Cold Lake, Alberta. Anyone who meets Dr. Richard Caners walks away a convert. His enthusiasm for bryology—the study of mosses, liverworts and hornworts, collectively known as bryophytes—is infectious. For him, bryology represents the prospect of always learning something new. And, as a bryologist with the ABMI at the Royal Alberta Museum, Caners not only gets to study and work with bryophytes every day, he’s helping to document an important aspect of Alberta’s natural heritage and determine the impact of human activity on it. Caners classifies bryophytes as “truly exceptional organisms”. Although they’re often overlooked due to their small stature and at first glance seemingly simple structure, bryophytes provide numerous benefits to our ecosystems: they store carbon, maintain soil structure and moisture, and provide nutrients to many species, among other things. As the quote above suggests, a closer look at bryophytes reveals their enormous range of form and function; as a result, they’re found in every natural region, and nearly every habitat. 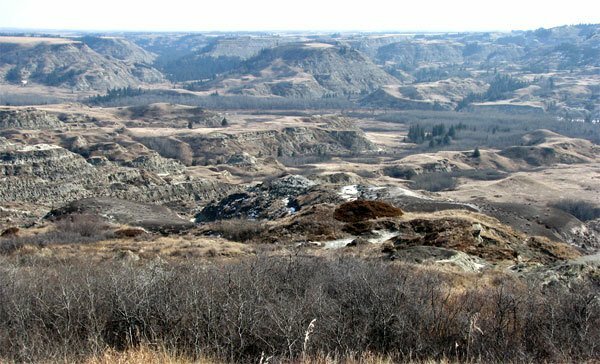 And since bryophytes are particularly sensitive to changes in habitat, the group was chosen by the ABMI to be an indicator of the status (current condition) of biodiversity in Alberta. 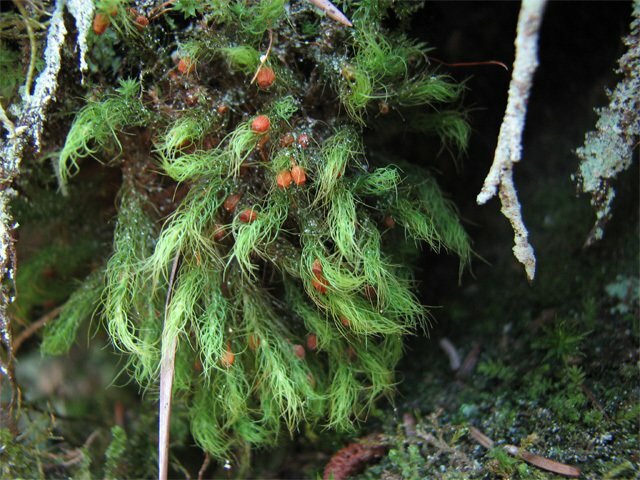 Caners says that although there is a growing recognition of the vital roles bryophytes play in ecosystems, there is still a significant need for people to better understand how these plants relate to the natural world around us. And with nearly 700 species of bryophytes in Alberta–many of these being uncharted in vast areas of the province–there are still significant knowledge gaps in the field. Despite the need for more research, there is a severe shortage of bryologists qualified to identify and study these plants. Luckily, this is where Caners comes in. Annually, the ABMI collects thousands of bryophyte specimens from across the province. To tackle this volume of material, Caners trains ABMI field technicians to sort the collections at the end of each season, a process that can take almost an entire month. Caners himself then gets the challenge of identifying the impressive diversity of specimens. 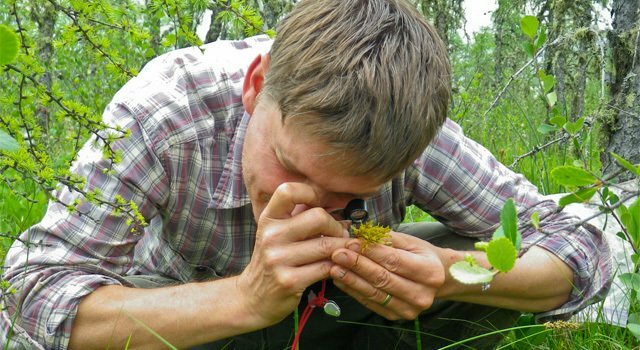 To assign a scientific name to these samples Caners uses an integrated approach: he combines his field experience with habitat and distribution information, and uses a variety of tools such as microscopes, taxonomic keys and herbarium collections to verify the features and ultimately identity of each species. All of these data are being used to build a comprehensive dataset on Alberta’s bryophytes and their habitats. In addition to his core responsibilities at the ABMI, Caners continues to teach and further the research he started during his Postdoctoral Research Fellowship, studying the impacts of in situ oils sands exploration on bryophyte biodiversity in peatlands. He’s also involved with monitoring and conservation programs for two nationally listed mosses–Haller’s Apple Moss and Porsild’s Bryum¹. “I am thrilled to do conservation work and try to protect the important biological legacy that we have in the province,” says Caners. Related to this, Caners was recently invited to sit on a panel of moss and lichen experts for COSEWIC², a committee that prioritizes species that might be at risk of extinction in Canada. Thanks to a large number of bryophyte-enthusiasts in the province there are regular workshops and courses on bryology at institutions such as the University of Alberta and the RAM. 1. There are three nationally listed mosses in Alberta: Porsild’s Bryum, Haller’s Apple Moss, and the Alkaline Wing-Nerved Moss. Caners is involved with monitoring programs for both Porsild’s Bryum and Haller’s Apple Moss. 2. COSEWIC is the Committee on the Status of Endangered Wildlife in Canada. 3. Alberta’s Tracking and Watch List documents biodiversity information in the province. It is managed through the Alberta Conservation Management System or ACIMS.